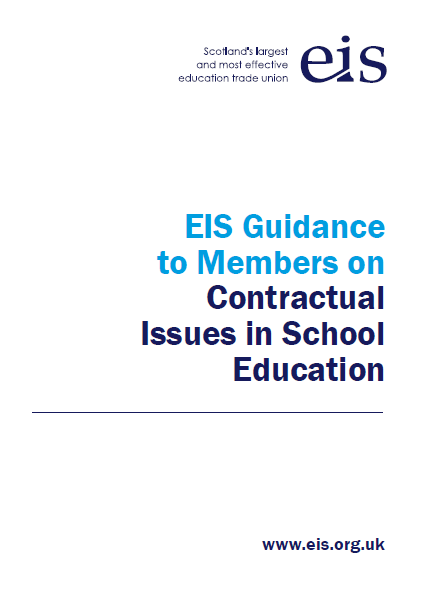 This booklet sets out guidance on pay, conditions of service and other contractual matters which affect teachers in Scotland. This is primarily designed for those entering the teaching profession but will be of relevance to all EIS members. The guidance is geared to those who are employed by Scottish local authorities. There is a section for those who are employed in the independent sector.